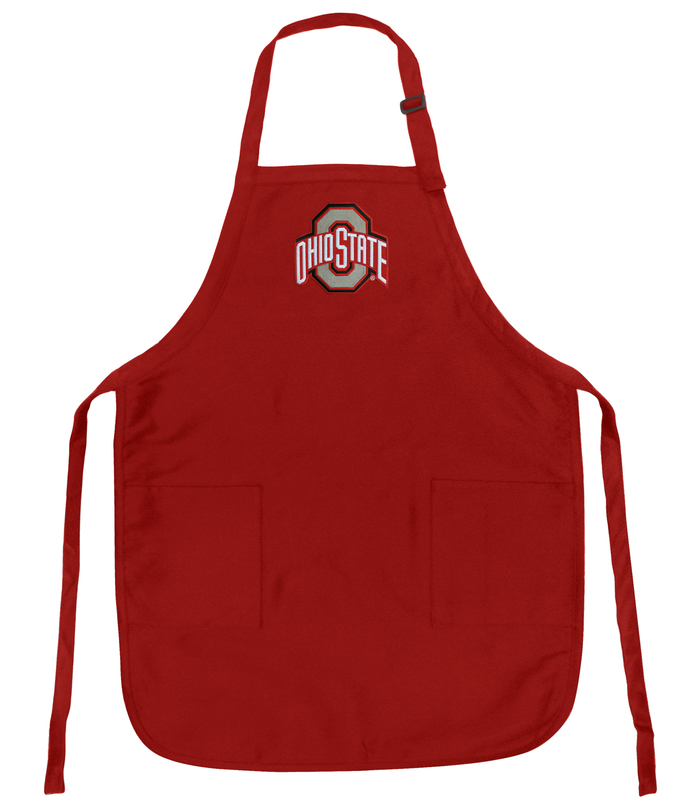 For him or her, this top quality Ohio State University apron is perfect at the grill, tailgating, or in the kitchen! A top Ohio State University gift for him or her, this Broad Bay OSU Buckeyes apron is tough and machine washable. Broad Bay official Ohio State University aprons feature an adjustable neckband, long waist ties, and 2 roomy front pockets. Official OSU Buckeyes Merchandise - Up to 12% Returned to Support Ohio State University Programs!